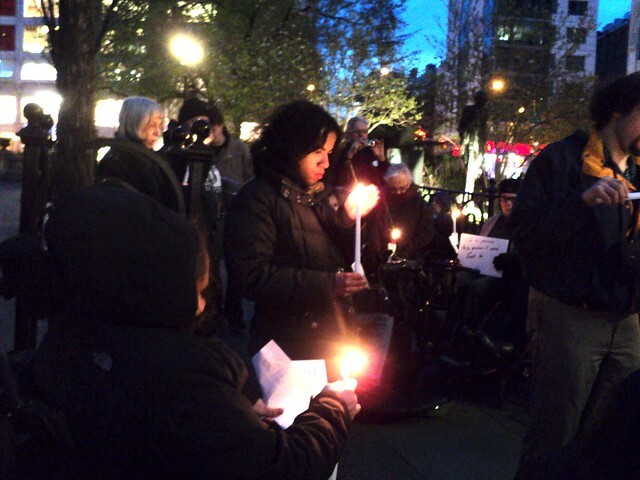 On March 30, 2012, disability activists in cities around the country held vigils in memory of disabled people murdered by parents and caregivers. 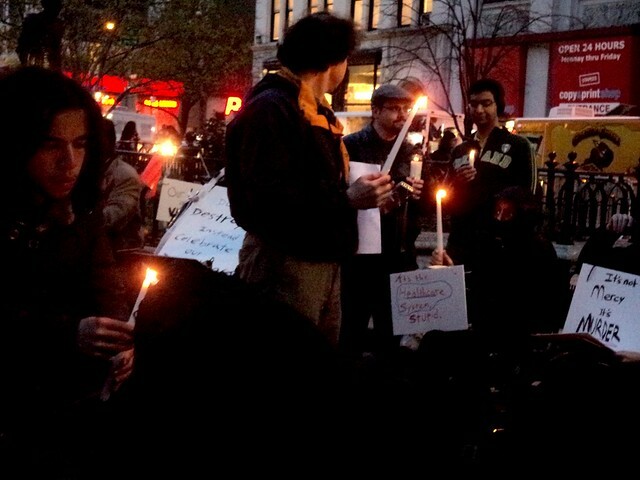 Below are several photos of the vigil that took place at Union Square South, in Manhattan. 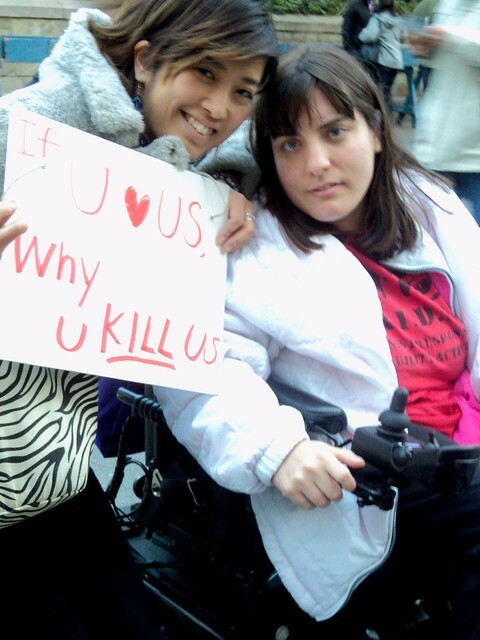 An individual holding a sign which reads 'If you (Heart) us why U KILL us' poses with a person using a power chair. 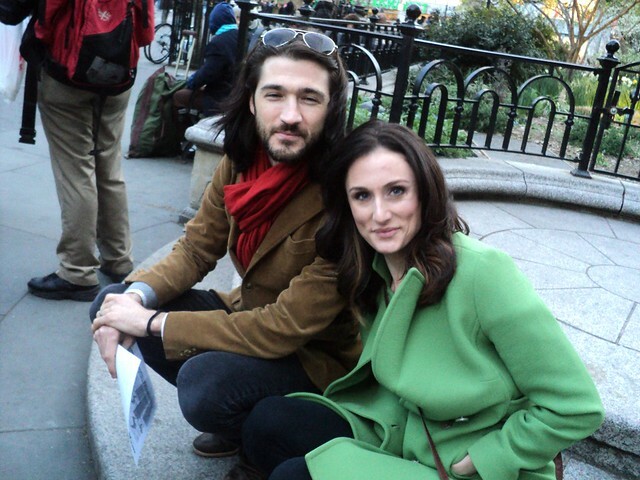 Two smiling warmly dressed individuals sit closely together on a step, looking at the camera. 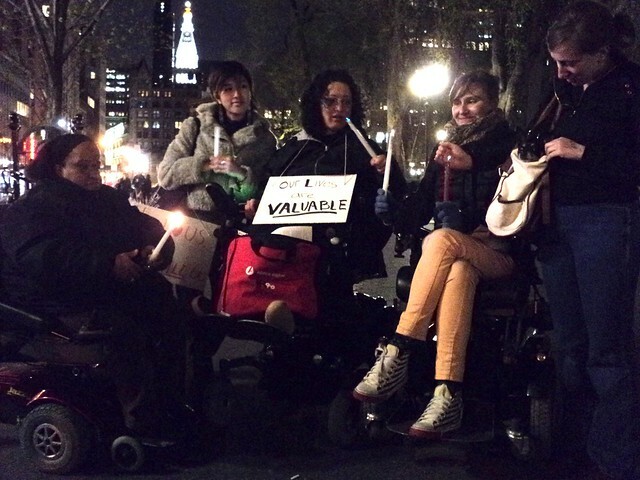 Two individuals in power wheelchairs facing each other at a right angle. 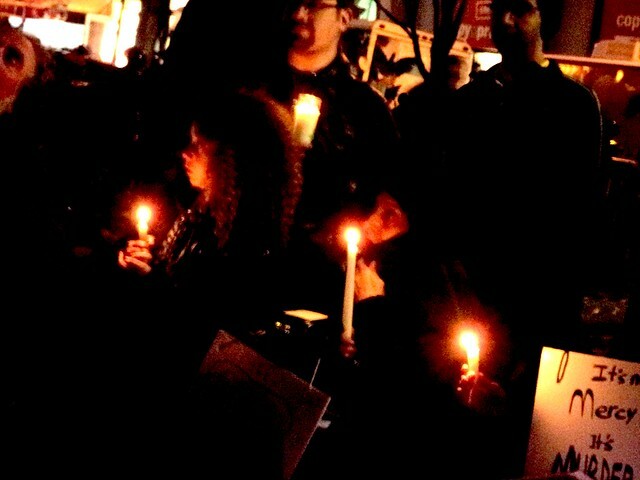 Individuals holding candles as the light fades. 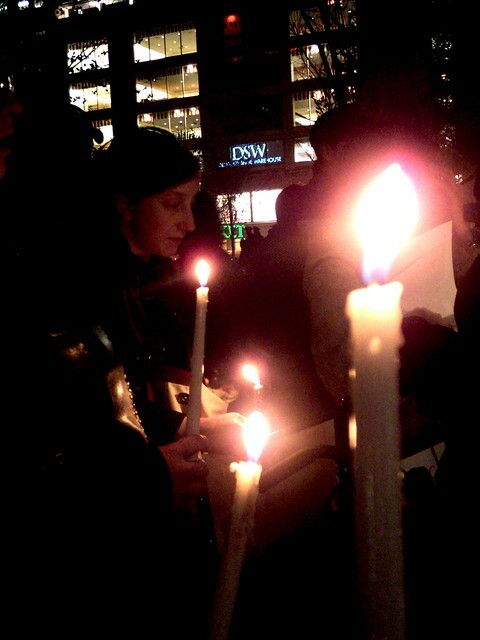 Candles are held by several people sitting & standing; close-up of candle flames. Organizers/speakers included Samuel Barwick and Nadina LaSpina. With gratitude to those who have contributed captions and descriptions; feel free to comment or add more.